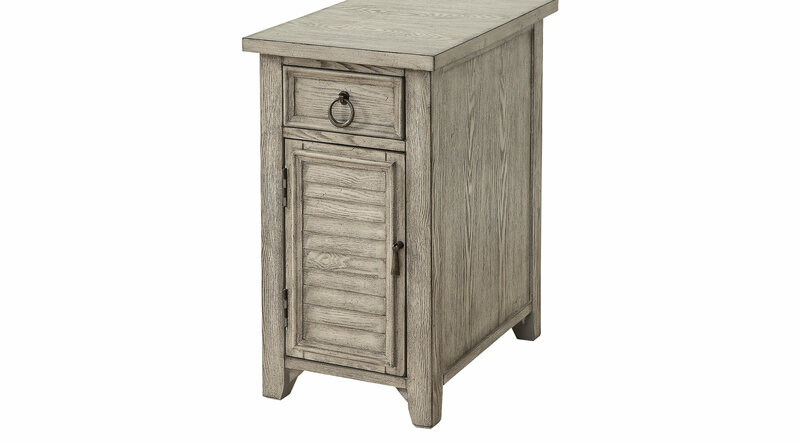 Where there are chairs, there should be a place close by for a lamp, books and a cup of tea, and what better place could you have then this delightful Marfil chairside table finished in a creamy ivory rub. A single shutter style door opens to a fixed shelf interior, and a drawer above is just the spot for your remotes and spare glasses. Plus, with AC and USB ports conveniently placed on the back, your reading lamp and phone can easily be kept plugged in!